The Unusual School is about developing emotional intelligence by applying psychology, philosophy and culture to everyday life. Its trainers are quite unusual as they could be a visually impaired, deaf, senior, ex-convict or a poor individual. They address issues such as how to find fulfilling work, how to master the art of relationships, how to understand one’s past, how to achieve calm, and how better to understand the world. 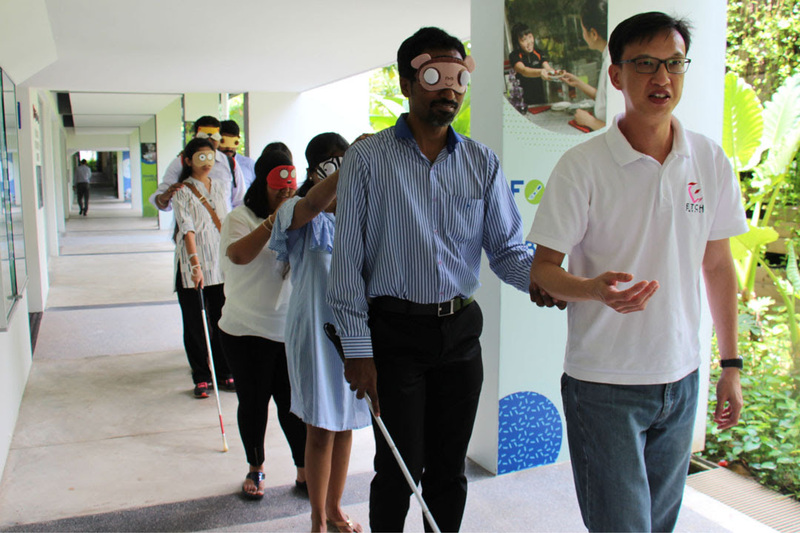 Their goal is for Singaporeans to be strong psychologically and emotionally and to nurture a pool of professional facilitators made up of the visually impaired and ex-inmates; to provide dignity back to the marginalised communities by creating a role reversal where they are the workshop facilitators. The Unusual School is a series of workshops facilitated by a visually impaired facilitator in complete darkness. Facilitators share their life journey from which many life values and emotions can be converted to teachable moments for others to learn and be inspired.